Phew…. motherhood… the most rewarding yet challenging job there is, right? It’s exhausting and all-consuming but the love you have for your squishy little kiddos makes all of the sacrifices worth it. 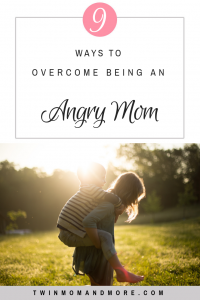 Prior to children, when I had a bad day or was feeling irritable, I had several ways to cope. I’d throw on some sweatpants, Netflix, and indulge in a yummy snack; call up a girlfriend or my sister to chat; head to the mall for some retail therapy; go into a cleaning frenzy; or change into my workout gear and get my sweat on. The problem with all of these things? They can be really hard to achieve when you have children to care for. Here are some practical ways you can turn your day around as a mom. 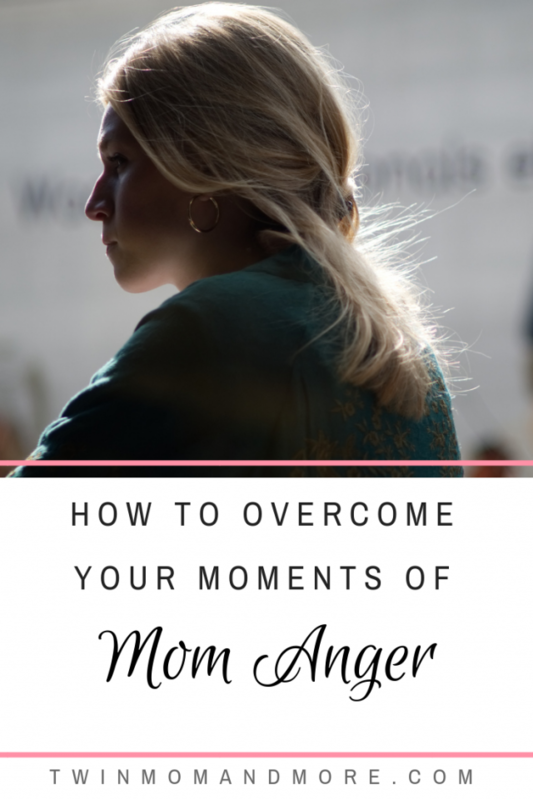 If you are struggling with constant anger, professional help might be something to consider. Sit down and make a list of what really sets your off. Is it your house being a disaster? Your children fighting? Not listening? Whining? Once you’ve figured out your triggers, make that the number one thing your work on with your children. I realized that I am VERY quick to anger when my children don’t listen. Obviously, I don’t love it when they whine or leave toys all over the house, but it doesn’t get me to my breaking point the same way it does when they don’t listen to me. We have been working very hard on first-time obedience so you can expect a post on that from me in the near future! While figuring out your triggers is crucial to keeping your cool, you need to do more than that. My trigger is when my children don’t listen to me, and no matter how hard I work with them on it, they aren’t going to listen the first time, 100% of the time, every single day. They’re still children. I find it easier to have patience when I’m properly taking care of myself. Mamas, we cannot pour into our children if our well is dry. Figure out what YOU need and make that happen. For me, it is making sure I have time to get to the gym and write in my blog. These things are therapeutic for me and make me a much calmer mom. To ensure that I have time to do this, I get up every morning at 5:45. By the time nap time rolls around, I don’t have the same focus that I have in the morning. So, I get up at 5:45 and by the time I’m downstairs with my coffee made, it’s 6:00. This gives me a full hour to write before I have to get dressed and ready for the day. I take 20-30 minutes during nap time completely to myself. I read, watch T.V., or take a nap myself. This gives me the energy handle my kids when they wake up AND workout in the evening. Read –> Self-Care Activities For Busy Moms. Most women have certain times of the month where it is harder to be patient and kind. Mine is the week before my period and it used to sneak up on me. I’ll randomly be SO snappy towards my children and husband and have zero patience. Once I figured out that it always happened around the same time each month, I was able to better control my emotions. I’ll put a little note in my planner so that I know these are the days I will have to work extra hard at controlling my temper. Why are we so stressed out as moms? It’s because of The Mental Load of Motherhood. Plan on leaving 15 minutes before you actually need to. This decision has changed my life. I promise, you won’t be 15 minutes early everywhere, you’ll be on time (or 5 minutes early). A good percentage of my outbursts happen when we’re running late for something. Then, the behavior that triggers my anger (not listening) puts me right over the edge. Josie and Margo won’t put their shoes on. Theo won’t use the potty. They get in the van but refuse to get in their car seats. Guys, I’m getting angry as I type this! In my mind, there is literally nothing worse than running late for something because my children aren’t cooperating! Right?!?! There are things that I can’t control, such someone having to poop right as we’re walking out the door, or a glass shattering all over my kitchen. However, most of the time we run late because it just takes forever to get 3 kids in the car, and at least one child is being uncooperative. But since I have made a conscious effort to allow 15 more minutes than I actually need to get out the door, I have been able to stay patient with the child (or two or three) who isn’t listening. My ability to remain patient has meant that I calmly tell them the consequence, and you know what? They take me more seriously when I’m calm. Their listening skills are improving! Way to lead by example, right? That was a very shameful moment for me, and I won’t sugar coat it at all. I was expecting my four-year-old to control his emotions when I wasn’t controlling mine. 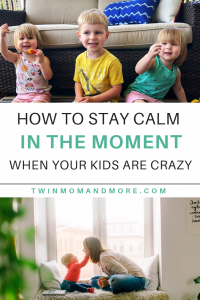 Do your children struggle to calm down? This Calm Down Book is an absolutely fantastic resource to teach your children the skills to calm down. Find a phrase that really gets to you. Mine is “You will never regret staying calm.” Find your own mantra, or use mine if you’d like! Once you’ve found your mantra, recite it, out loud, allllllll day long. I say it out loud at 7:29 AM. Theo gets up at 7:30. I also say it, out loud, at 7:59 AM. Josie and Margo get up at 8:00. I say it as we’re on our way out the door to preschool drop off. I say it as I’m getting lunch ready and the kids are getting tired and hungry. 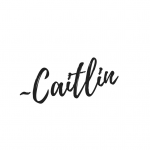 There have been times when I’ve been in an exercise class holding a plank (or performing another exercise) and I think I can’t possibly continue. I’ll be about to take a quick break when the instructor says “5 more seconds!” The knowledge that I have a break coming soon gives me the energy to push through the remaining 5 seconds. If I hadn’t known I only had 5 seconds left, I probably would have stopped. The same is true with parenting. If you remind yourself when your break is, you can get through. Maybe it’s nap time, maybe it’s not until your husband comes home. But it will come. It’s so cliche, but it’s a cliche because it works. When you find yourself stressed or getting angry, take 5 big, deep breaths. Breathe in through your nose for 2 seconds and out through your mouth for 5 seconds. Do this 5 times and I bet you won’t feel as angry. This only works in certain situations. Basically, if you’re at home with nothing pressing to get to. If we’re all having a grumpy day and I feel as if we just can’t survive until nap time, I initiate some sort of silly time. It takes 3 positive memories to make up for 1 negative memory. I remind myself of this on days that I’ve yelled. I have to show my children love in 3 ways to make up for yelling at them. Yes, we are human. Yes, being a mama to small children is taxing. Yes, it is inevitable that we will lose our cool and scream at our children occasionally. However, I think giving ourselves grace and using the excuse that we’re human and we make mistakes can cause us to not work on problems. Just because we’re human and make mistakes doesn’t mean that we shouldn’t work on improving ourselves. Know what I mean? So yes, give yourself grace, but not too much grace. Enough grace to forgive yourself for going bonkers, but not so much grace that you don’t try to work on bettering yourself as a mama. When you’ve lost your cool? Apologize to your kiddos. Tell them you will work on not yelling. And then actually do it. P.S. Don’t forget to keep up with our family on Instagram!